With insightful analysis, factual contextual information, and illuminating historical documents, this book provides a detailed, but broad perspective on the most destructive event in history. The literature analyzed in this book includes that of novelists and poets such as Joseph Heller, Norman Mailer, Irwin Shaw, Kurt Vonnegut, William Styron, Richard Wilbur, James Dickey, Paul West, and Bette Green. Along with interviews with these literary luminaries that personalize the war and help to make connections between the literature and the actual experiences of those involved, Meredith also provides rare historical documents that enhance the reader's understanding of the military and political strategies of the major forces of the war. Each chapter provides a literary analysis of the most relevant literature for students on the topic of that chapter, followed by a historical overview of the aspect of the war that will aid the student to understand the historical context of the literature. Primary documents, especially interviews and memoirs, will help students to build bridges between history and the fictional accounts they read. Each chapter is followed by topics and questions for class discussion, suggestions for student papers, and a selected bibliography. 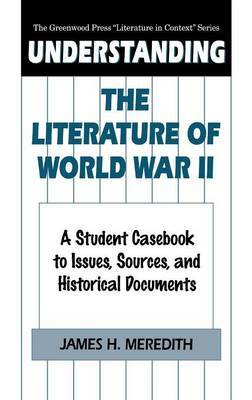 This comprehensive casebook will be valuable for interdisciplinary study of World War II and the literature most frequently taught in high school English and history classes.